It’s no secret that the Instant Pot is an amazing appliance to have in your kitchen. It feels like it can literally cook anything. If you haven’t jumped on the bandwagon yet and bought one, you seriously must. Not only does it cook everything in a matter of minutes, it retains the flavor and the juices as well making for some seriously delicious food! 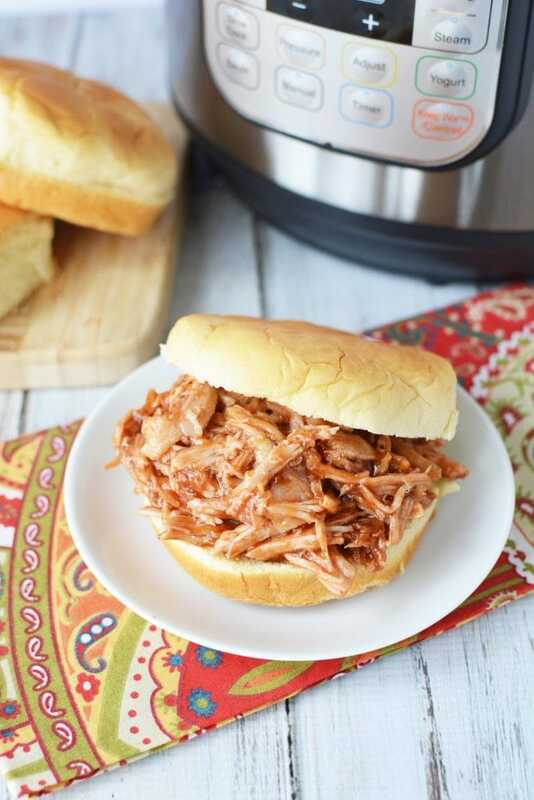 This Instant Pot Barbecue Pulled Pork recipe is a perfect for those summer backyard BBQ’s! First, let me point out by saying this recipe is literally just 2 ingredients. (Told you this was simple!). 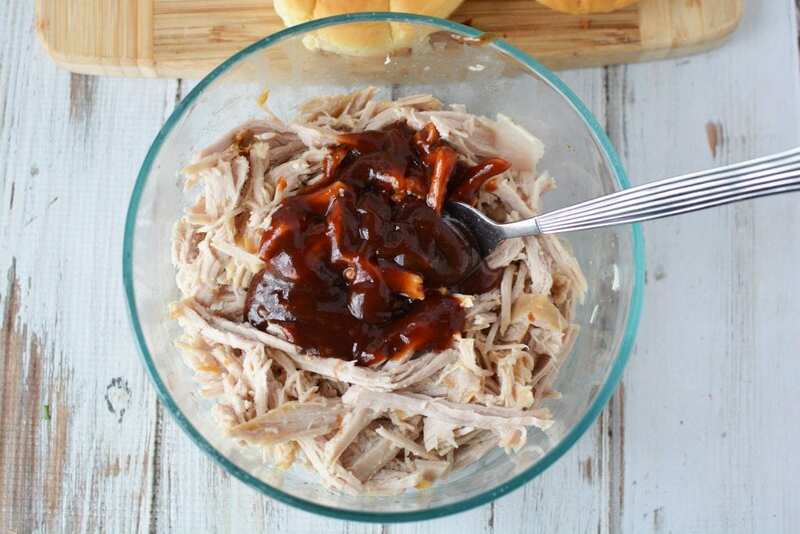 Of those two ingredients, all that you have to do is grab the pork, pressure cook it in the Instant Pot for 60 minutes…and then follow the rest of the simple steps of the recipe below. 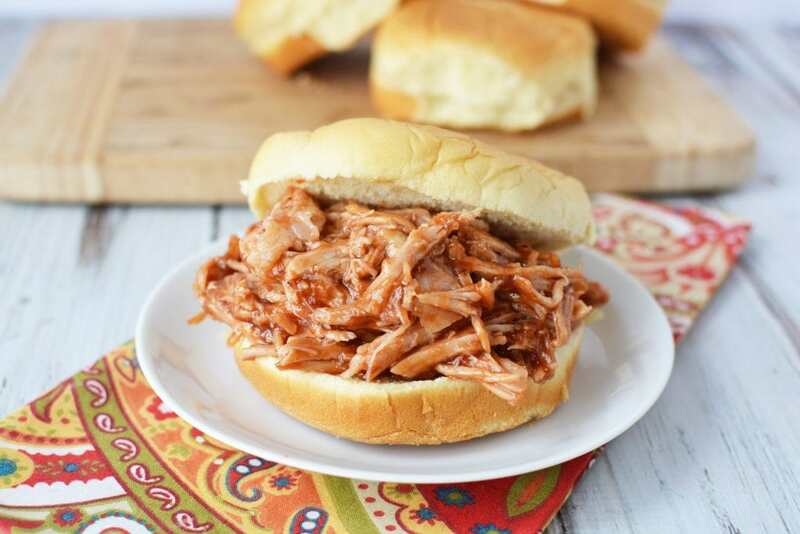 Just like that, amazingly delicious Pulled Pork sandwiches that your family is sure to love. When I said it was simple, I wasn’t kidding around. This recipe is great for those busy evenings of sports, activities, or just being plum tired and worn out. Once you make this recipe in your Instant Pot one time, it will become a staple in your menu planning for sure. 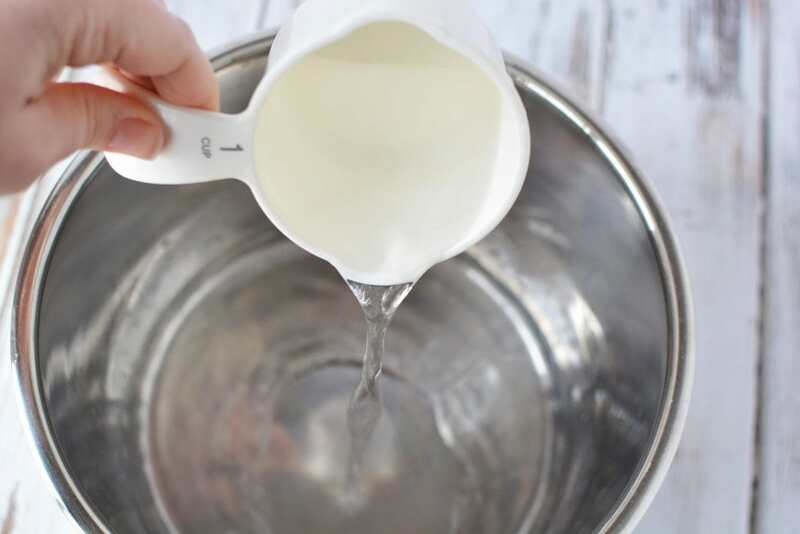 First you will need to make sure you place water into instant pot. Then you will place the pork loin in the Instant pot. Close the instant pot lid and the pressure release valve. Heat on manual, high pressure for 60 minutes. When cooking cycle is complete, let steam release naturally for 20 minutes. Quick release steam and open the instant pot. Carefully use 2 forks to shred the pork. The meat and liquid will be hot. 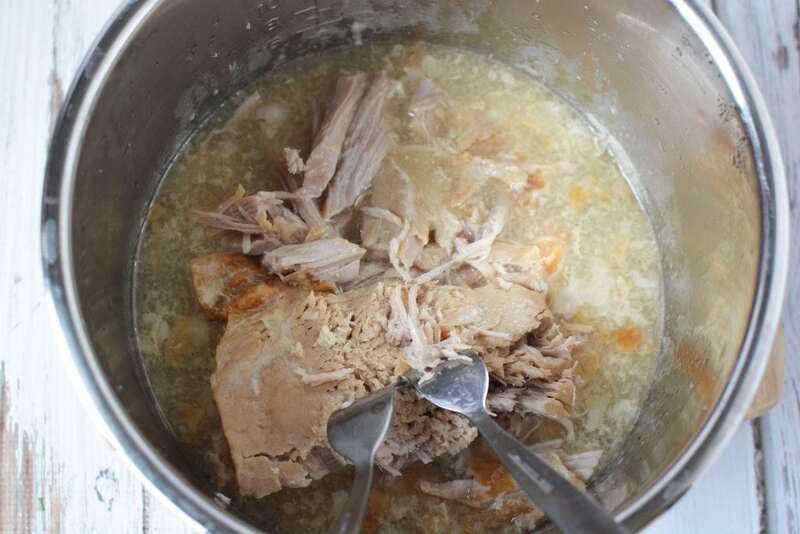 Use tongs to remove the shredded meat from the pot and place into a large mixing bowl. Discard liquid in the pot. 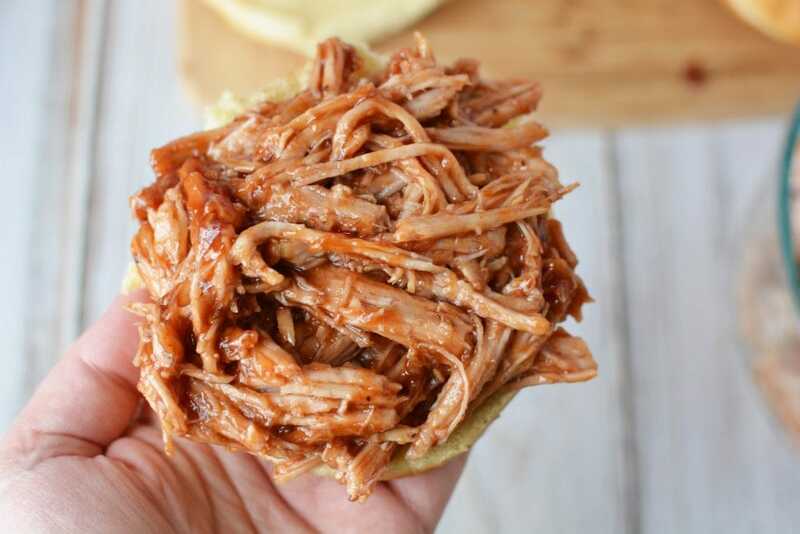 Stir your favorite sauce into the shredded pork and mix well. If necessary, return to pot and sautee for about 5 minutes, stirring frequently until heated through. Serve on hamburger buns with extra sauce if necessary. 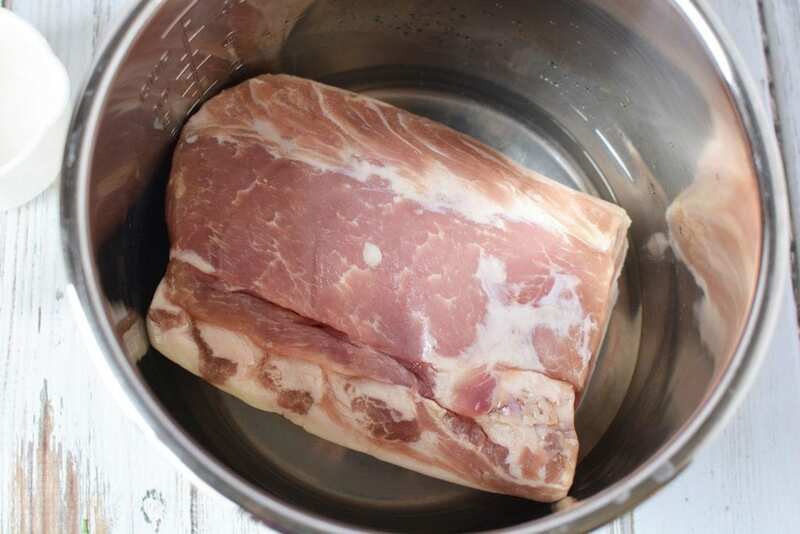 Place water into instant pot and place pork loin in pot. Close the instant pot lid and the pressure release valve. Heat on manual, high pressure for 60 minutes. When cooking cycle is complete, let steam release naturally for 20 minutes. Quick release steam and open the instant pot. Carefully use 2 forks to shred the pork. Use tongs to remove the shredded meat from the pot and place into a large mixing bowl. Discard liquid in the pot. Stir your favorite sauce into the shredded pork and mix well. If necessary, return to pot and sautee for about 5 minutes, stirring frequently until heated through.